The Philadelphia International Flower Show in Philadelphia March 4 through 11. 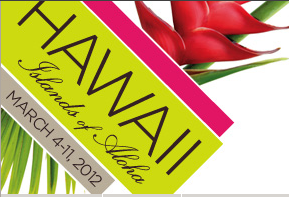 Under 2012’s “Islands of Aloha” theme, guests will be immersed amid authentic Hawaiian dancers and musicians, breathtaking displays of exotic and tropical flora, and an authentic twenty-five foot waterfall, with digital technology that mimics the ocean. The Flower Show will have an entirely new layout, among other things. Aside from full-scale displays and competitive classes, professionals will partake in floral face-offs providing guests inspirational entertainment. Culinary demonstrations and wine tastings are sure to be a hit, while “The Man Cave” provides a testosterone haven, equipped with a digital surround theater to air local sports. Should you wish to elevate your experience, attend one of the three evening outings, including LGBT night, Wedding Wednesday and Girls’ Night Out, or join the VIP list to meet Bethenny Frankel and sample new additions to her Skinnygirl product line. When it comes to The Flower Show, there’s something for everyone. The world’s largest indoor flower display will take place at the Pennsylvania Convention Center, located at 12th and Arch Streets. General admissions tickets cost $27 for adults, $20 for students, and $15 for children; prices increase with add-ons. All tickets can be purchased either online or at one of several retail outlets, listed here. Proceeds benefit the Philadelphia Horticultural Society and its renowned urban program, City Harvest. For further information, call (215) 988-8899 or visit the web site. For Smartphone savvy users, download The Flower Show App for free maps, schedules, show features and parking advice. 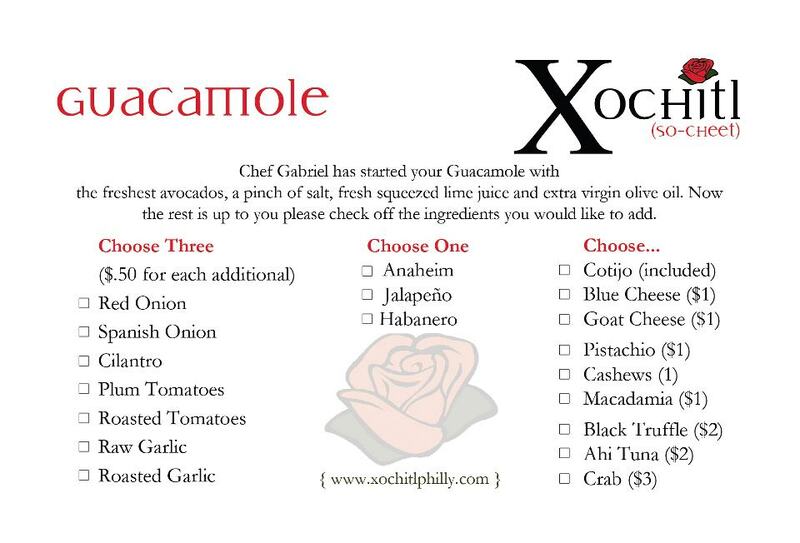 CBS Philly named Xochitl as one of the top spots to grab guacamole in Philadelphia. The best way to incorporate healthy foods into your diet is to find fruits and vegetables you love to eat. Not only do avocados provide some essential nutrients for our bodies such as fiber, potassium, vitamins B and E and folic acid, they’re also extremely delicious. Combine the health benefits of the avocado with other veggies and fruits to create one of the most versatile dips around, and you will find yourself on the way to eating healthier. Guacamole can be used on sandwiches, as dips, on burritos, fajitas, taco salads and countless other delectable dishes. Here are the top spots Philadelphians can enjoy a tasty dose of guacamole. 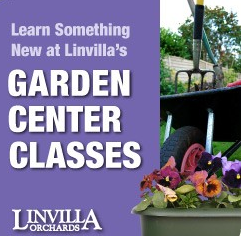 Spring forward with Linvilla Orchards and Get your Garden Growing! On March 17th at 10:30 a.m., guests of Linvilla will have the chance to learn the ins-and-outs of home gardening during three free informative seminars, under expert Joe Daniels. For those that have no prior planting experience, take the opportunity to learn Daniels’ tricks of the trade, and wake your garden from its winter slumber! There’s no better time to prepare for springtime sowing than the present. If you already happen to be a knowledgeable gardener, why not make the most of your talent with additional tips? Skill level is irrelevant, so long as you get your garden growing! Questions are welcome, as are friendly faces. What are you waiting for? Mark the date! 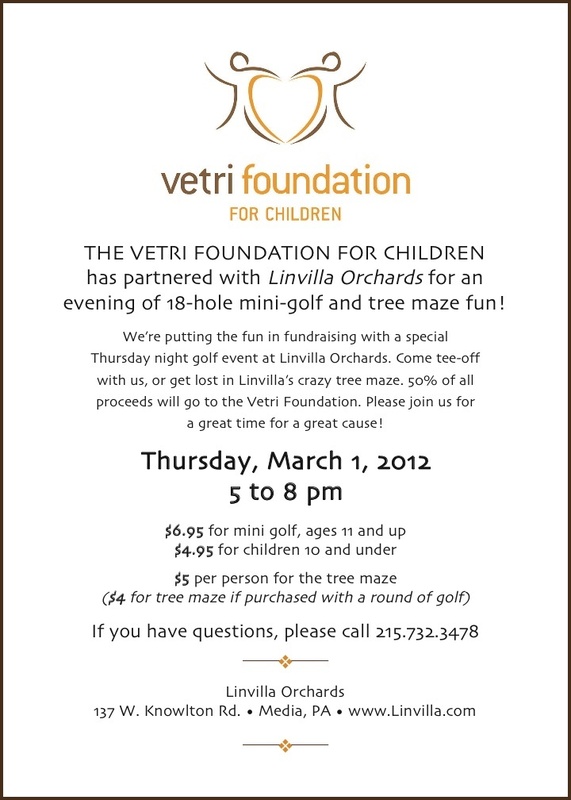 Call (610) 876-7116 or visit the Linvilla Orchards site for further information. Linvilla Orchards is located at 137 West Knowlton Road, Media, PA.
Affo rdable and accessible: Such is uncommonly characteristic of the blowout, an indulgent service offering women modern-day, bouncy, beautiful hair in as short of a time as it takes to get a manicure. There’s no cutting or coloring in these new blow-dry bars; simply washing, blow drying and fabulous styling. A luxury growing in popularity, the blowout is no longer limited to extraordinary occasions. Women everywhere want to look like a Rodeo Drive regular, regardless of the style. Luckily, with the opening of Blo/Out® Blow Dry Bar in Huntingdon Valley on Sunday, March 4th, Philadelphia residents can join the trend for just $35. 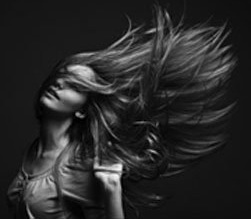 Blo/Out Blow Dry Bar’s Blolitas™ perfect about a half dozen chic styles, ranging from straight and full-bodied to beachy and artfully tousled, in an inviting atmosphere that will make customers feel at ease. The blowout bar also offers other professional services, including BloLicious™ Makeup applications and BloEm’ Event Services™, just to name a few. Blo/Out Blow Dry Bar is located at 1051 County Line Road in Huntingdon Valley, PA. Two more salons will be opening in Philadelphia later this year. Please call (215) 375-7585 to make an appointment, or visit the Blo/Out® site. It’s not just a style; it’s a lifestyle. In celebration of the no-meat-Friday season of Lent, Shank’s Original will be featuring a Filet of Flounder on the menu every Friday through April 6th. 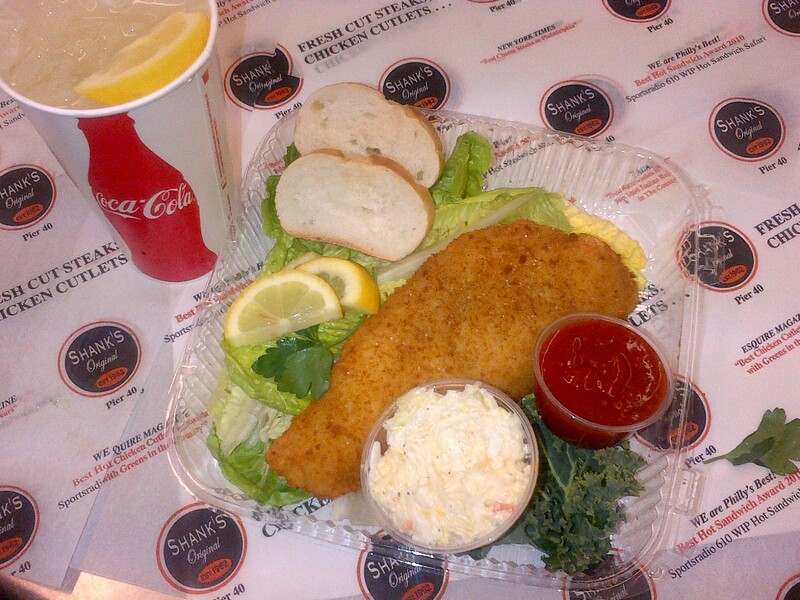 The Filet of Flounder is served as a scrumptious sandwich or as a palatable platter with cole slaw, cocktail sauce and a beverage of your choice all for only $5.00. Shank’s, located at 901 S. Columbus Boulevard, Pier 40, Philadelphia PA 19147 is open Sunday through Thursday 10 am – 9 pm and Friday and Saturday 10 am – 10 pm. We encourage you to call ahead so your order is ready when you arrive. 215.218.4000. Check out Night Kitchen Bakery on this past Saturday’s edition of “FYI Philly” on 6 ABC. We brought in three tiny test-tasters to show you what first birthday party smash cakes are all about. Welcome to the party. Today is Ash Wednesday, in the Catholic Church. Ash Wednesday marks the first day of Lent, the 46-day season prior to Easter where the faithful give up some form of luxury as a form a penitence. This luxury usually tends to be a food indulgence, such as chocolate or soda. 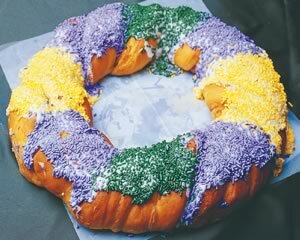 The Lent observers here at Breslow Partners are giving up chocolate and french fries, respectively. 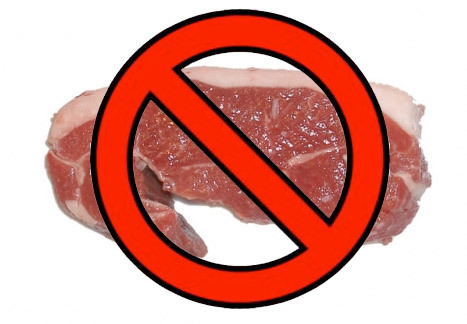 Another part of observing Lent is abstaining from eating meat on Ash Wednesday and every Friday during Lent. Fish is A-okay, though. Foodies, foodies, everywhere: Philadelphia’s annual culinary showdown is returning for another year of talented chefs serving bold flavors for an incredible foundation. Leading chefs from across the region have united to support the worthwhile cause that is Philly Cooks!, an event hosted by Philadelphia magazine for its twelfth consecutive year. Its purpose is simple: utilize proceeds to benefit The Philadelphia Ronald McDonald House, an organization that provides a temporary home away from home for families of ill-stricken children receiving care at local Philadelphia hospitals. On February 22 from 6:30 – 9:30 p.m. at the 33rd Street Armory, located at Drexel University, guests will have the opportunity to indulge in creatively scrumptious dishes crafted by Philadelphia’s elite participating chefs and restaurants, as well as sample a variety of upscale wines and enjoy the fine tastes of sponsors such as Stella Artois and ABCD Coffee. If you’re wondering who will take the 2012 “Dish of the Year” title, why not attend? Whether its “Best Entrée” or “Best Dessert,” Philly Cooks! will not disappoint. Tickets cost $75 per-person, although a discount will be provided for groups of 10 or more. All guests must be 21 years-of-age with a valid ID. To purchase your ticket, call (215) 940-4605 or visit Tix.com. For questions or further details visit the Philly Cooks! site, and don’t forget to check out the “Special Offers” section for incredible giveaways.